Submissions will be open mid-summer 2019. This scholarship was established in 2015 by the Online Learning Consortium (OLC). Now called the Inclusion, Diversity, Equity and Advocacy (IDEA) Leadership in Digital Learning Scholarship, it honors leaders in the field of digital learning who exemplify leadership qualities and who contribute to the field through the adoption of innovative practices or the contribution of new research to the field. This scholarship will be presented at the 2019 OLC Accelerate conference in Orlando November 19-22, 2019. 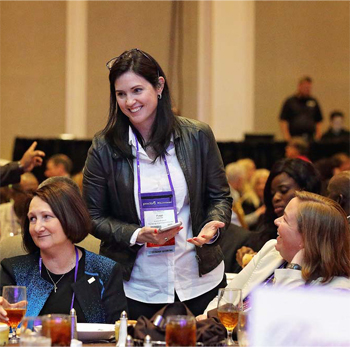 This scholarship includes an OLC Accelerate 2019 conference registration, 2 nights at the Walt Disney World Swan & Dolphin Resort to use during the conference, attendance at the 2019 IDEA Leadership in Digital Learning Luncheon, and a commemorative plaque. OLC will host an IDEA Leadership in Digital Learning Luncheon at the OLC Accelerate conference. Applications for 2018 are closed. The deadline to apply was September 1, 2018. Watch for applications opening mid-summer 2019.